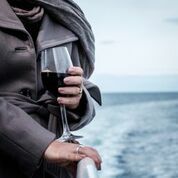 Join us for a hosted cruise with the wine guru himself..... Tim Goddard! whilst cruising to Wineglass Bay. All Tasmanian regional produce, gourmet treats and wines are included.